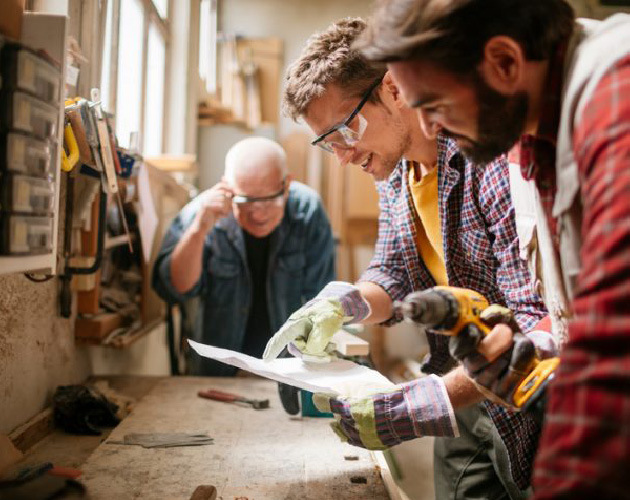 If you have ever worked with a skilled trade business, you know the importance of having qualified and skilled professionals working for you—it can mean the difference between the success and failure of your project. The Ontario College of Trades (College) is an industry-driven, professional regulatory body that protects the public by regulating and promoting the skilled trades in Ontario. By working with businesses and certified tradespeople, the College ensures the highest standards of training and safety are maintained across Ontario’s 156 skilled trades. The College ensures that Ontario’s skilled trades professionals are delivering their best work by updating apprenticeship training standards to align with today’s technologies and by maintaining a public register of their members, allowing consumers to take the guesswork out of choosing a qualified skilled trades professional. Celebrating the Trades is a campaign partnership between the College and ZoomerMedia, celebrating skilled trades businesses or professionals that excel in their fields. Acknowledging a job well done ensures skilled trades professionals continue to succeed by gaining the business they deserve. There is no better “thank you” than rewarding someone for their great work through Celebrating the Trades. Nominations for Celebrating the Trades are open to all. We want to hear from businesses, trades professionals and consumers who have experienced excellent skilled trades service. Nine nominations (three from each category) will receive promotional opportunities across ZoomerMedia platforms, allowing them to reach Zoomer’s audience of influential decision makers who know the value of good work. Your nomination could help turn a small business into a household name and help that business or individual get even more work to showcase their skill. This is a great opportunity to celebrate the trades and show your fellow businesses how much great work is valued by all. The call for nominations is now open and closes on April 30, 2017. Visit everythingzoomer.com/trades to submit your nomination.